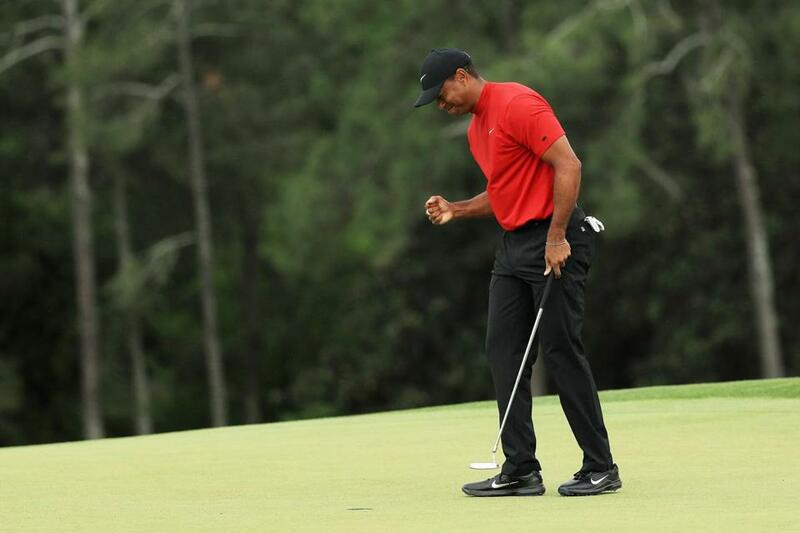 Tiger Woods celebrated after sinking his putt on the 18th green to win during the final round of the Masters. William Hill found itself in a similar spot. A few days before the first round, a William Hill bettor in Nevada placed an $85,000 wager on Woods at 14-to-1 odds. The bet, which paid out $1.2 million, was the biggest liability on a single golf wager in William Hill’s seven-year history taking bets in the US. After all bets were paid out, William Hill was out “seven figures,” according to spokesman Michael Grodsky.